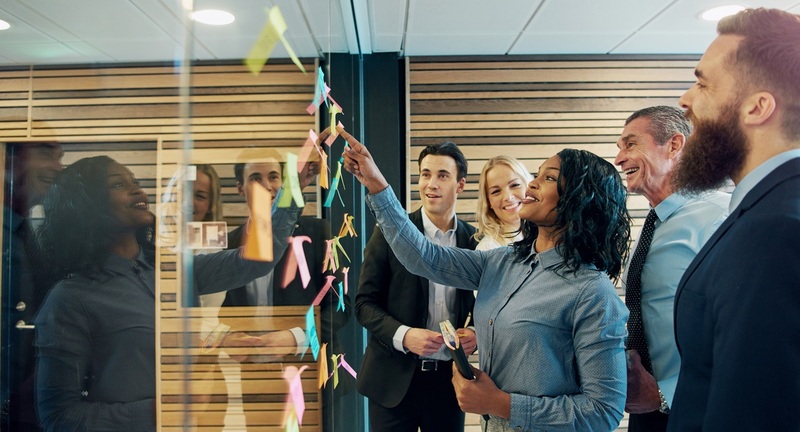 Business is not an exact science and there are no guaranteed recipes for success, but there are certain qualities in leaders and managers that can help to put any company in a strong position to grow and prosper. It’s pretty much guaranteed that your business will encounter certain obstacles that must be overcome and problems that must be solved. A positive outlook is crucial to handling these situations, particularly when other people around you are worrying or fearing the worst. With an optimistic, ‘can-do’ outlook, you can set a constructive example that will filter all the way down from the top of the business to the newest recruits. This will help to ensure that challenges are viewed as opportunities for the firm to improve, rather than harbingers of doom. Sometimes, big and potentially difficult decisions must be made in business. Whether it’s restructuring the workforce or dropping a particular product or service in favour of something new, all companies reach key turning points where a bold, assertive approach is required. To achieve long-term success, it’s vital to have the courage required to stand up, take responsibility and commit to these big decisions. Take the time to consult with other leaders and members of the workforce, and consider all sides of the argument before choosing which path to take. Maintaining your focus on personal and professional integrity can help to ensure that your company grows in an ethical, responsible way, never losing sight of its core values and objectives. Make principles such as fairness and decency a core part of how you run your enterprise and conduct yourself, particularly when it comes to elements of business such as protecting employee wellbeing and honouring contracts with suppliers or customers. Having a competitive streak can prove hugely valuable in business, especially if you are operating in a congested, fast-moving industry where staying one step ahead of your rivals could be the key to success. However, it’s also important to ensure that competitiveness manifests itself in a positive way and doesn’t come at the expense of humility. There is often more to be learned from failure than success, so recognise times when competitors achieve something special and think about how your company could learn from it. When asked to picture a successful business leader, many people might think of a confident, charismatic extrovert who takes charge and gives orders. However, there are many instances in which quieter, more reserved characters can play an instrumental part in business success. If you are able to sometimes take a back seat and listen to the views of others, you might discover new strategies and solutions to problems that otherwise would have been overlooked. Really listening to people also shows that their views are valued, which could be crucial to building lasting relationships – with clients but also with colleagues – and securing the future of your venture. There are certain key qualities that could help managers and business leaders drive their company to success, some of which are less obvious than others.